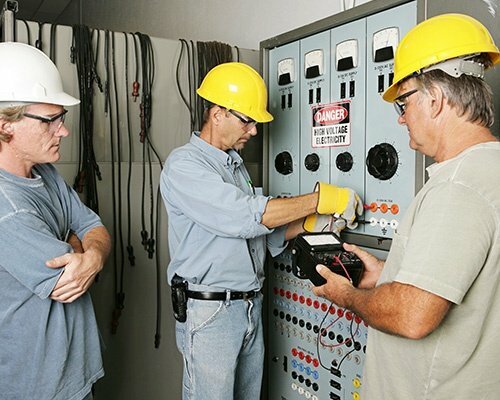 Primary Electric Company in DFW Metroplex recognizes that our electrical experts are at the core of every successful operation. We greatly value the impact an individual member brings to the team. This is why our electrical company strives to provide our employees with gainful employment and a working environment conducive to personal and career growth. Electricians are trained, skilled, and licensed tradespeople. Electrical experts seeking employment at our electrical company are encouraged to reflect these attributes in their appearance, work habits, and attitude toward work. Primary Electric Company is also a drug-free and an equal opportunity company. Random drug tests are conducted to ensure job site safety and quality as well as drug-free work performance. Interested in working at our company? Send your resume at employment@primaryelectriccompany.com today! We are on the lookout for proficient and promising electrical experts to join our team.